Diners were very popular throughout the Midwestern U.S. in mid-twentieth century, and were known for tasty and quick meals at a low price, often cooked to order for each customer. Of course diners still exist today in some locations. We have a few photographs of local diners in the Sandusky Library Archives Research Center’s collection of historical photographs. 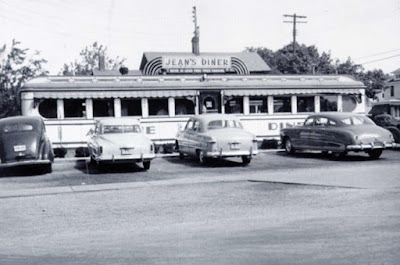 Pictured above is Jean’s Diner, in business from 1939 to the 1960s at the corner of Warren and Monroe Street. 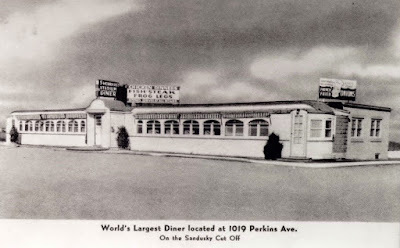 Stadium Diner, now where Berardi’s Family Kitchen is located, was in operation from 1941 to the 1980s at 1019 West Perkins Avenue. Like many other diners, the main structure of the Stadium Diner was made from former interurban cars. When the YMCA was on Washington Row, Mary’s Diner (later June’s Diner) was located nearby at 151 East Washington Row. The diner was razed in 1967. 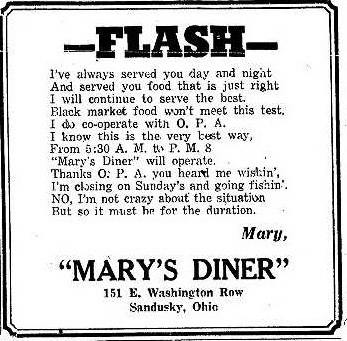 This advertisement from Mary’s Diner, which appeared in the Sandusky Register Star News of July 1, 1943, reminds us of the time during the World Wars when the Office of Price Administration required some businesses to remain closed on Sundays. Often known as the “Blue Laws,” these regulations varied greatly, depending on the time frame and location; many states imposed Blue Laws for traditional and religious reasons. During World War II, however, laws such as these were seen as a conservation measure for the war effort. In 1943, Mary stated that she would be going fishing on Sundays, and the Diner would remain closed. 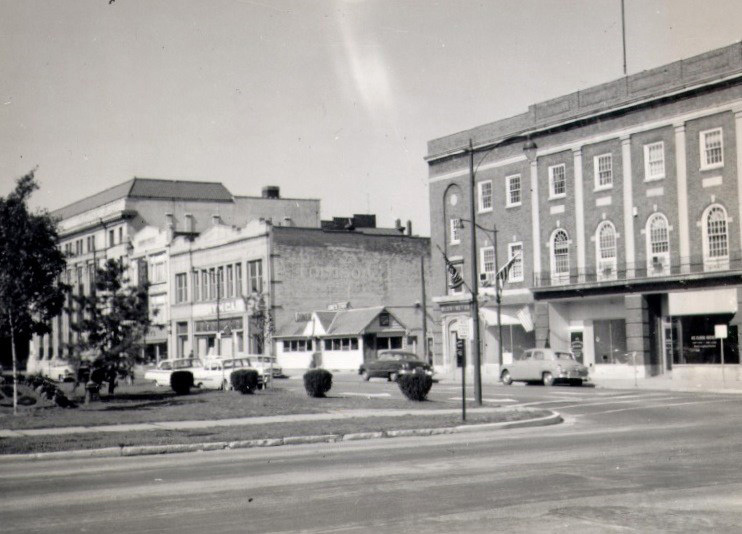 Visit the Sandusky Library Archives Research Center to learn more about the historic people and businesses of Sandusky and Erie County. Hello, I wanted to contact the library about using your photos of May's Diner in a book I am hoping to publish this summer on Diners of the Great Lakes. What is the best way to contact the library? 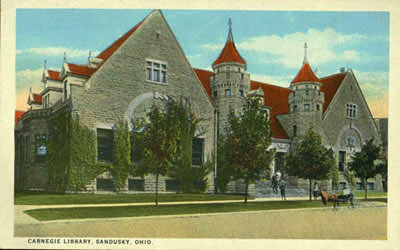 You could contact me directly at rdavidson@sanduskylib.org, or you could go to our online image catalog (http://sandusky.pastperfectonline.com/) and use the "Request Image" link to contact me.